The garden hose is by far the best known and most used water hose. Other examples of water hoses are drinking water hoses, fire hoses or high pressure and steam hoses. 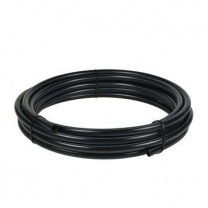 Naturally, a water hose can therefore be used in numerous applications. Firstly, it is important to select the right application. You then determine the system parameters, such as maximum pressure, temperature and the desired diameter and length of the hose. The right diameter is important. Too small causes unnecessary pressure drop, while too large a pipe leads to higher costs. Our explanation page about hoses can help you select the right hose in case of doubt.